With the all-new one version imminent, we hunt down a used W12 Spur that's up for £18k. What could go wrong? Bentley’s next-generation Continental Flying Spur is nearly upon us, with development cars so far into pre-production testing that engineers are barely bothering to disguise them. We’re expecting the upcoming Rolls-Royce Ghost rival to be very good – its two-door cousin, the GT, took big strides forward thanks to its all-new underpinnings and engine, so we’re expecting a commensurate step forward with the saloon. But with an anticipated starting price north of £140,000, for most of us it’ll remain a car to appreciated from afar. Thank goodness for depreciation then, because early examples of the old Flying Spur can now be had for little more than 10 per cent of what we reckon the new car's value will be. Although with that mammoth W12 engine aboard, the maintenance bills are unlikely to be as forgiving. Ditto the running costs - even the previous, now 14-year-old Flying Spur, with its wonderful and muscular 6.0-litre, produced 560hp and 479lb ft of torque. So think 'stratospheric' and you're in the ballpark. The Flying Spur was launched with a listed combined fuel economy of 22mpg, which, as we now know, was a bit optimistic. And with such a healthy appetite for hydrocarbons, 423g/km of CO2 were pumped out of those tailpipes, which means coughing up £570 per year for the privilege. 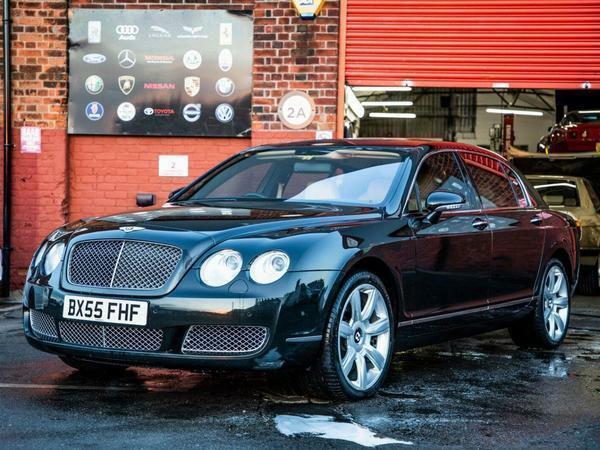 Not even the finest applicator of Man Maths can make fuel and tax costs for an old Conti Flying Spur look cheap. Of course, on the flipside, you're getting a whole lotta car for the money. There’s that magnificent engine – one perfectly suited to the job of shifting opulence with grace and, if you ask for it, genuine pace, too – and it powers an actual modern Bentley which can had in 2019 for less than the price of a mid-spec Fiesta. Plus, the Flying Spur has none of the Premiership footballerness of the GT. In contrast to the coupe, a ridiculous 95 per cent of Spur buyers were said to be driven by someone else, meaning the depreciated used cars on the classifieds might have never before been properly appreciated by their custodian. Or not from the front seat, at any rate. And while the Volkswagen Phaeton-borrowed platform and Audi S8-sourced powertrain meant that the four-door Conti was far from bespoke underneath, it definitely drove like a Bentley. It was lovely. The interior, equipped with the latest tech back in the mid-noughties, now bridges a happy medium between old and new. There’s wood veneer, leather and as much chrome as you’d like, but also an infotainment screen with satnav. In this pre-iPhone world, the complexity of the latter was much less than today’s dominating systems, meaning the cars listed on PH, even at the bottom end of the price pile, appear to have everything in working order. Today’s Spotted is the second-cheapest car on the site, but it looks to be one of fine condition. It’s passed through five owners in its 14 years, but two were part of the same family, so shall we call it four ‘family’ owners? And 68,000 miles needn’t be of concern for the most significant oily bits, because that W12 has such a surplus of performance that it’s unlikely to have been stressed much. Plus, the fine state of the car’s exterior and interior suggests this car has received consistent maintenance. Yes, it’ll cost as much to run as a small cruise liner and there are always potentially crippling bills just around the corner. But with continued TLC from a buyer who understands what they’re getting, you can’t do much better than £18k for a W12 Flying Spur. Can you? Aren't these the ones where you have to take the engine out to change the alternator ? Shouldn't this be under the "Brave Pill" heading ? the contemporary S8 had the 5.2 V10 shared with the S6. 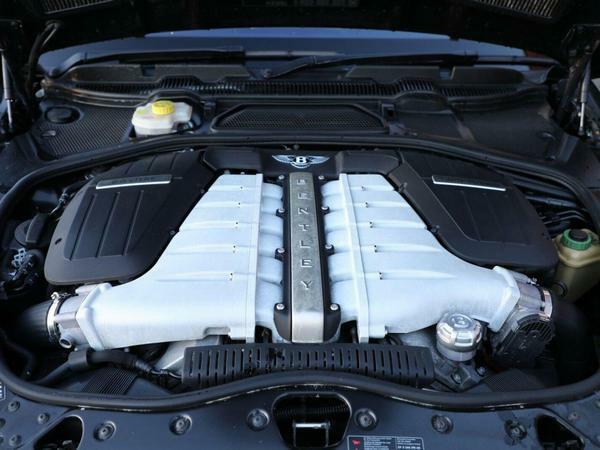 The top of the line A8 had the W12 engine, without turbos. I looked at these last year (as you do when you spend way too much time surfing the classifieds) and thought that is astonishing value - am sure there are few cars as comfortable and luxurious as these. Also imo looks so much better and more special than a contemporary big bmw/Audi/Merc. Fabulous cars inside, they use the same chassis/running gear as the Phaeton. I looked at one after buying my Phaeton and all the switchgear performs the same functions but in the Bentley they are beautifully made in metal rather than plastic. Of course the seats are far superior but still share the same basic controls. If you can find a good independent guy to look after it you'll save a fair bit of money but some parts are expensive, as mentioned above it's an engine out job to do some replacement work. If you are a gambling/high risk individual you could buy one at a bargain basement price, run it trouble free for a good few years and really enjoy it then when something major goes wrong throw it away and buy another. Fantastic value and seriously how much should the buyer budget for based on 2 year's ownership and 10K miles over that period? Would £5K cover it or closer to £10K? Or would one need deeper pockets than an Elon Musk project? Depends on how lucky you are. You need to check things like discs because these are heavy cars and they eat them. As said you may just get away with an oil and air filter in a year. Finding someone who can work on them for a decent rate helps. On my Phaeton the first thing I did was buy a VCDS code reader as they do throw up codes if batteries go on the blink so the Bentley equivalent would be the first thing I'd buy. What you do with these is plan a maintenance "event" - you remove the engine and do EVERYTHING you can do - pipes, sensors, switches - the lot. Agreed. This and the last “Spotted” should both be under “brave pill” a 4yr old M3 with 60k i.e. prime time for some extortionate BMW bills plus still plenty of value to lose and a 12 cylinder Bentley! The Chimaera under “brave pill” is a pretty safe bet compared to these two. The Porsche 928, yeah fair enough you’d need to be nuts for that. Not sure who would buy one of these as they get old, sort of has a posh taxi vibe, VIP Hotel transport or similar, the Coupe has a bit more desirability, guessing these are replacing Silver Shadows and Spirits as a wedding car ? 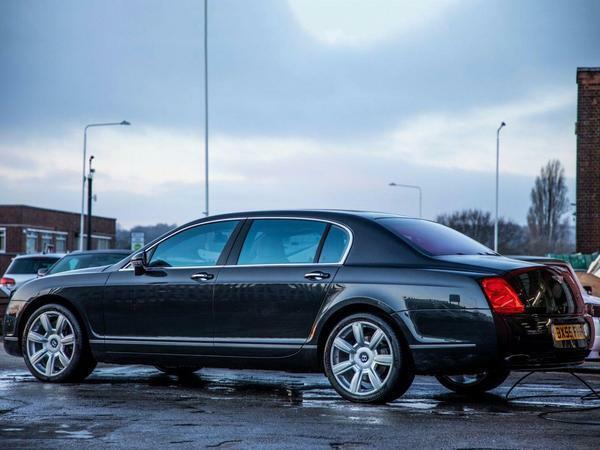 WOW - never heard of that before but a quick google shows the BMW 7 series and the petrol RR also have them - every day is a school day ! Nearly went for one of these a few months back. Still wonder if I should have. The price makes this very tempting. Is there anything comparable / in the same league at this amount of car for your money ?